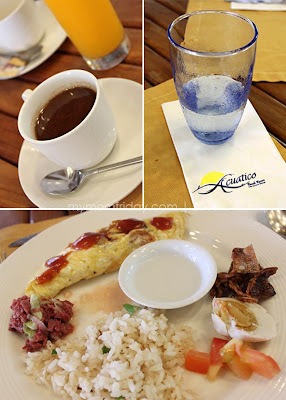 Last November, I was already dreaming of going to Acuatico after I heard lots of good things from friends and browsing through their website. This premiere leisure resort is located along the sandy coastline of Laiya in San Juan, Batangas. We originally planned a year-end trip to Acuatico but our preferred villa and target dates were already booked, so we headed to Tagaytay instead. Early this month, arrangements were made by my sis-in-law and luckily, she was able to book us an overnight stay during the last weekend before the Holy Week (of Lent). She was informed that it's the only available date and they're already fully booked on all weekends until end of May. At 9 am last Friday, we left the Pasig-C5 area and breezed through the South Luzon Express Way (SLEX), up until we reached Batangas proper. There was an overcast and we were hoping for clearer skies as we passed through several towns, with light traffic, like Sto. Tomas, Lipa, and then San Juan. 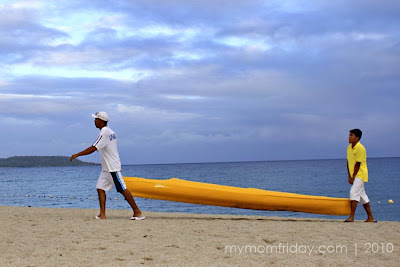 Finally, after a 3-hour drive, we made it to Laiya, known for its long, white, sandy shoreline where travelers can choose from a row of resorts that fit any budget. The service road leading to the main gate was quite narrow and shabby. 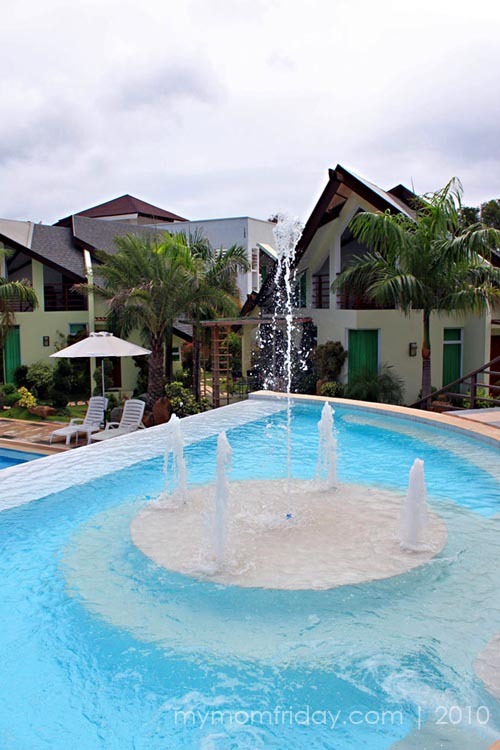 But as soon as we went down from the main driveway by the lobby, we were warmly welcomed by Acuatico's friendly staff and receptionists. It was drizzling then. We arrived at exactly 12 o'clock. Check in time was at 1:00 p.m. and our rooms were still being tidied up. With my camera on hand, being the pathological picture-taker that I am, I was so overwhelmed by this picturesque resort. I didn't know where to start shooting. It was a visual overload! I will now stop yapping and just let these images, and anecdotes, do the "talking". Despite the reduced image sizes and collages, I still have so much photos I wanted to share but have restrained myself to avoid having a kilometric post. 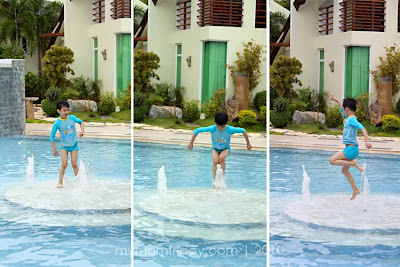 Soon after we arrived, the kids were already raring to jump in the inviting pool. Me too! But we headed straight to the dining area first and were greeted with a courteous wait staff. Still no sign of sunny blue skies. 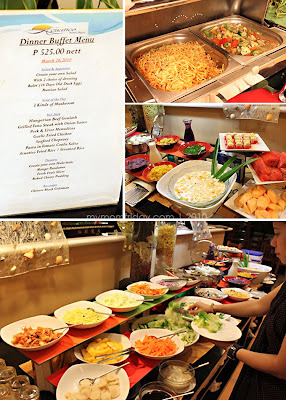 For lunch, they were offering a set menu with our choice of one main course, the soup of the day and a buffet of appetizers and desserts. 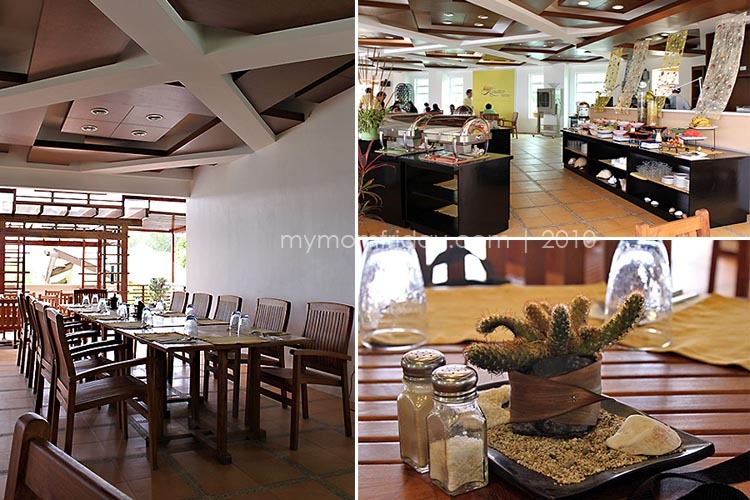 Good comfort food and great ambiance kicked off our two-day stay at this fairly new leisure establishment. Service was excellent. 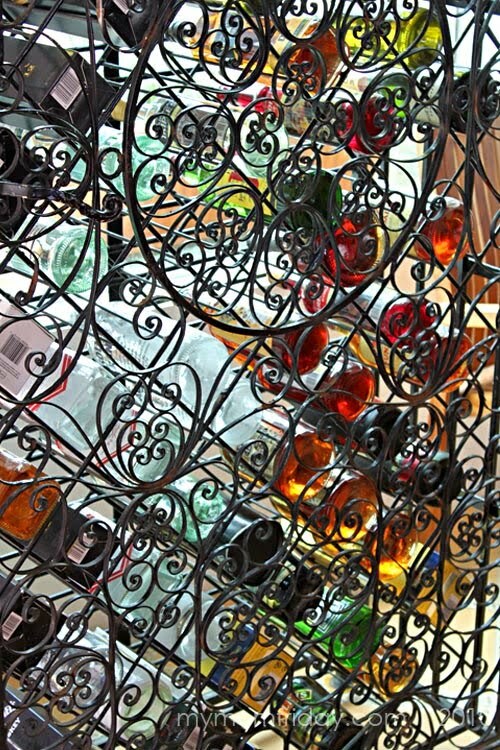 This wrought iron wine rack in one corner of the hall caught my eye with its colorful wine bottles. Everywhere I look, there's a postcard-perfect shot! 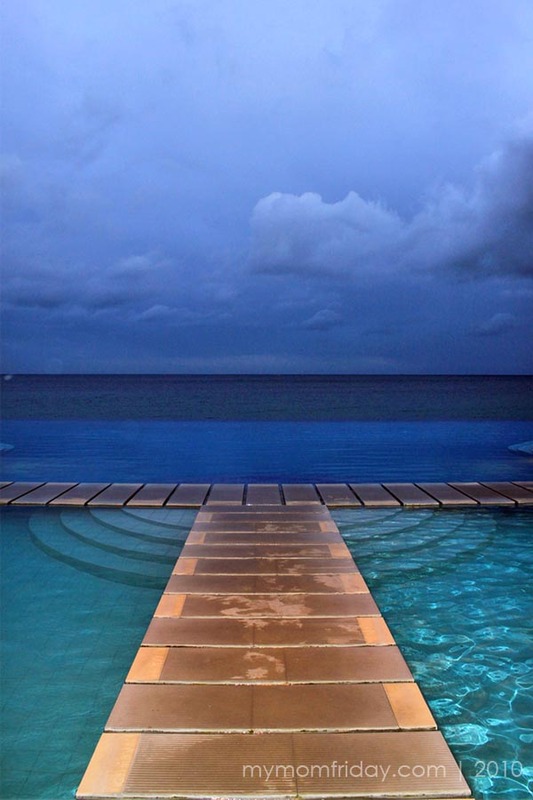 The architectural design of Acuatico was well thought out. 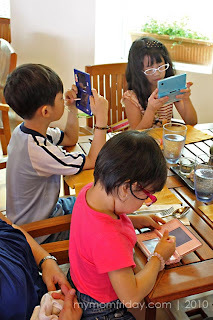 While waiting for our orders, the kids busied themselves playing with their Nintendo DS. This gadget really came in handy while on the road. A must-bring for us parents, this is a dependable and effective tool to keep active kids "calm and collected" when dining out or traveling. On one side, my adorable 2-year old niece automatically flashed me a big smile as I panned the camera to her direction. I finished off my light and tasty gindara fillet with a sweet and chewy macaroon and juicy watermelon wedges. 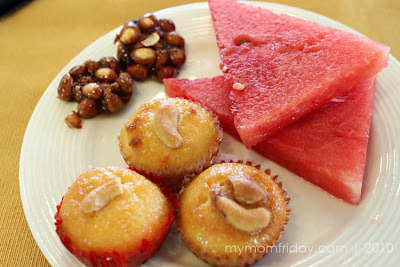 My niece gobbled up the other two macaroons while the mini peanut brittle went to the nannies. After a filling meal, we can't wait to settle into our family villa, the bi-level Estancia. We were led to Estancia-A. 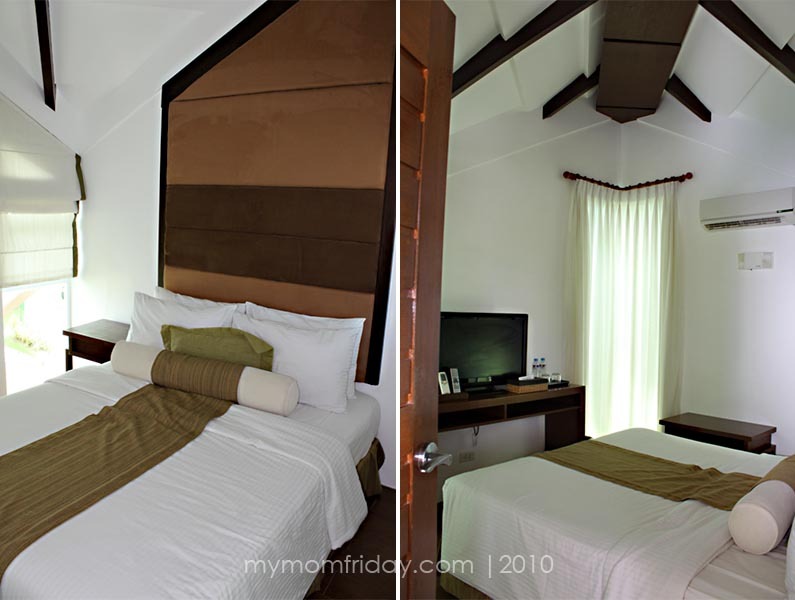 There are only 2 family villas (A & B) which can accommodate a group of 6. 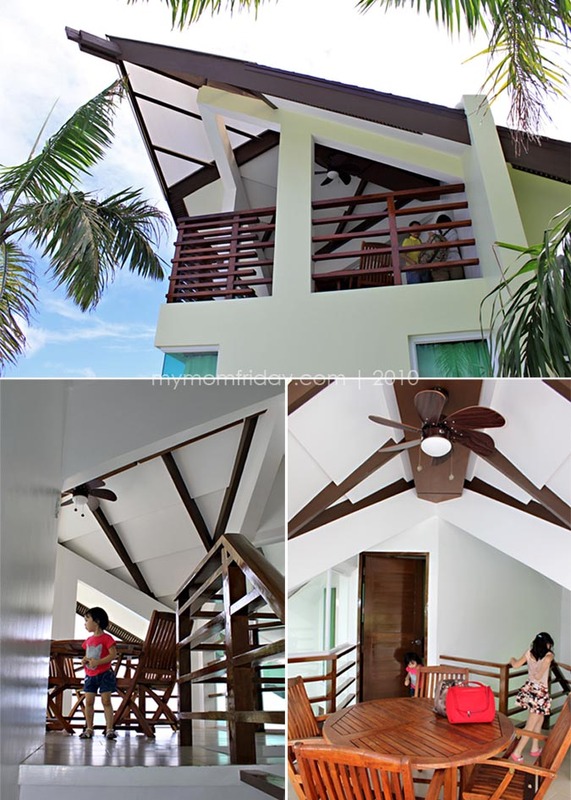 It has 3 bedrooms, 1 restroom (housing 2 toilets, 2 shower cubicles and a lavatory), a living area with LCD TV, a porch and a view deck. The resort-wide wi-fi internet access was a bonus. 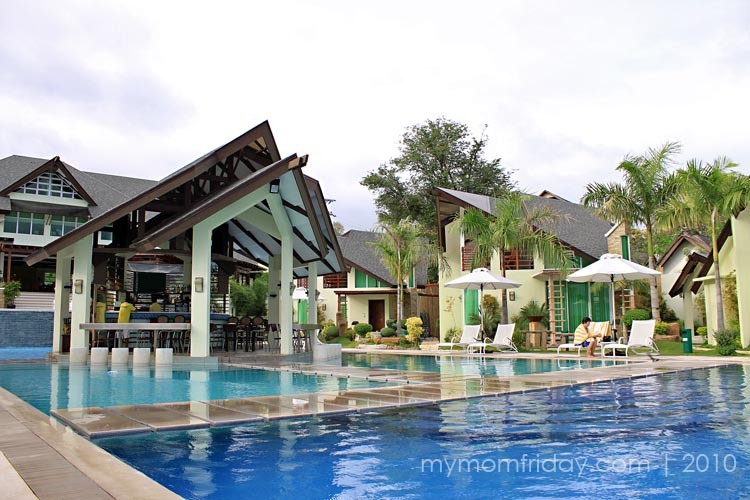 The Estancia was perfect for us since we were 3 couples (splitting 4 kids and 2 nannies). They have a separate driver's quarters. My parents got the first room with a queen-sized bed, but (with a big BUT) it only has curtains for privacy, separating it from the living area. 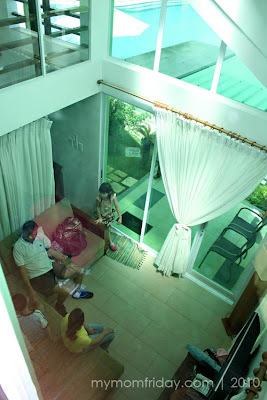 What's worse was we all have to pass through their "room" to get to the rest room from the ground floor. 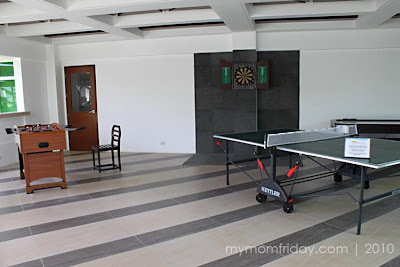 The Achilles' heel of Estancia is its rest room. I regret not being able to take pictures but it's on their website. It was just too cramped. Also, the shower sliding doors were not rolling smoothly. And considering my father and brother were not that big, though they are taller than average, they complained they could not move comfortably in the toilet and shower cubicles (read: cubicle). I wondered if they had better toilet and bath in the other units. 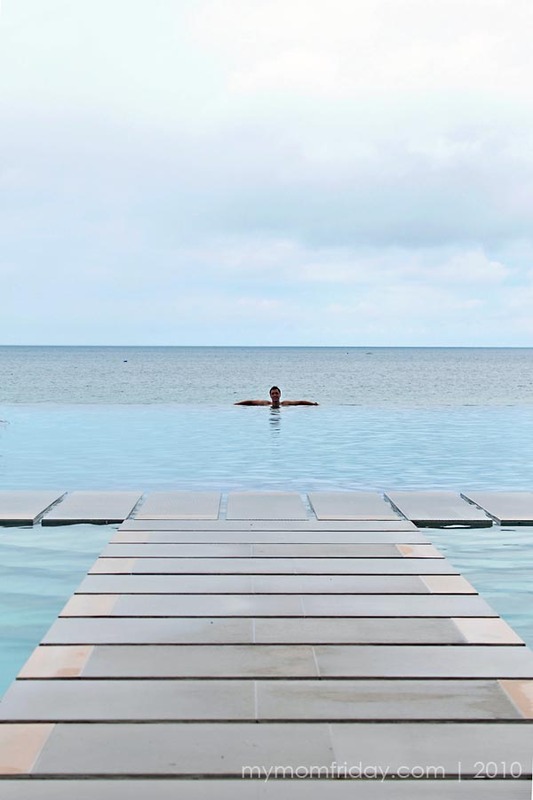 Acuatico Beach Resort boasts of a Balinese-inspired design aesthetics, with modern amenities and rooms offering a magnificent view of the infinity pool, the mountain or the sea. Soon after we chose our respective rooms, we quickly changed and plunged in the cool, clear waters of this spectacular 4-tiered infinity-edge pool, unique to Acuatico. It seamlessly combined a jacuzzi on the top level, flowing down to a 2-foot deep kiddie pool, and the bar in the middle. 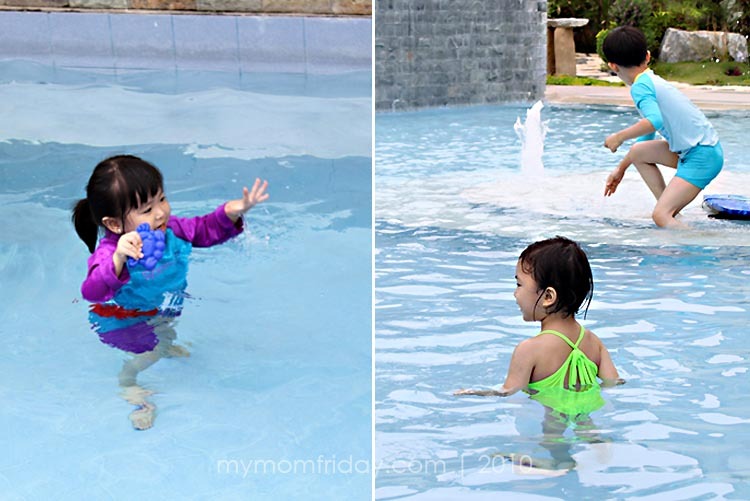 The two little girls were so confident wading and splashing around as soon as they discovered they can stand up and walk in the shallow pool without assistance. My boy, on the other hand, was so fixated by the active fountain. My brother was the only one who had his picture taken against this breathtaking view, darn! Later in the afternoon, my brother requested for coffee and we were served with their complimentary brew and delivered to our villa. Service deluxe! We all went down to the beach after a light snack and allowed the kids to get their hands dirty building sand castles. 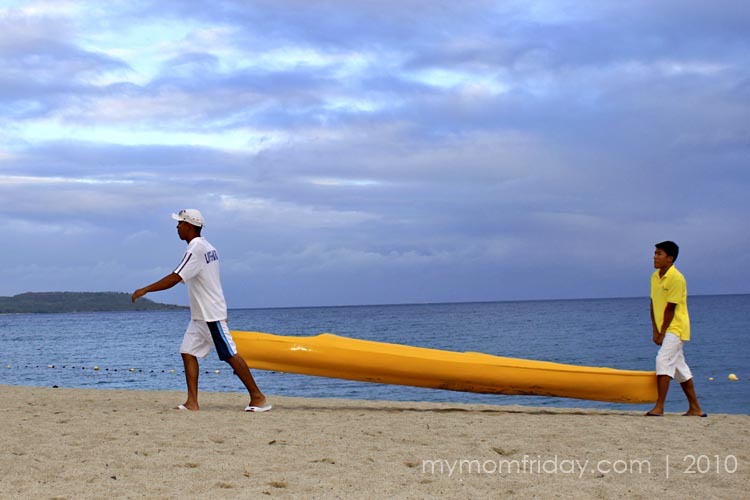 It was not powdery fine as Boracay's but the sand was white, and clean. The weather was lovely after an on-and-off drizzle and the whole family enjoyed the cool sea breeze while lounging around doing nothing, and walking barefoot. I was click-happy the rest of the day. How I wished my DSLR was waterproof! Before we headed back for a shower, a balut (duck embryo) vendor passed by the beach and we couldn't pass up on these juicy, succulent, and tonic delicacy. 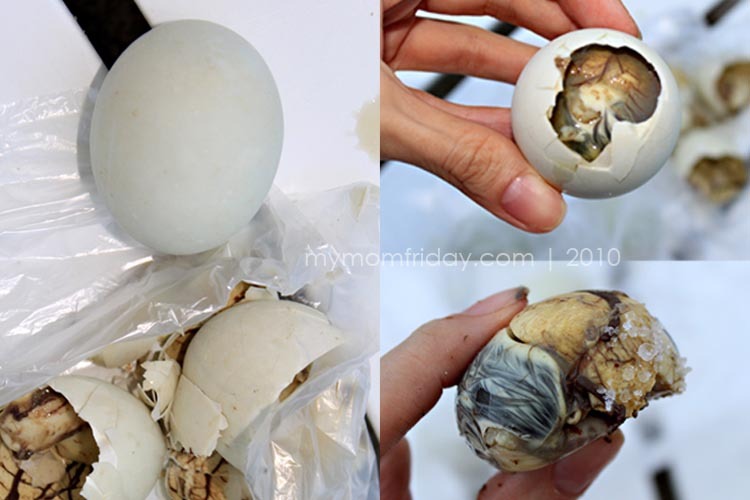 It's been a while since we had a good balut and with a pinch of salt, these were excellent. Slurrp...yum, yum! I ate 2 1/2 eggs in one sitting! 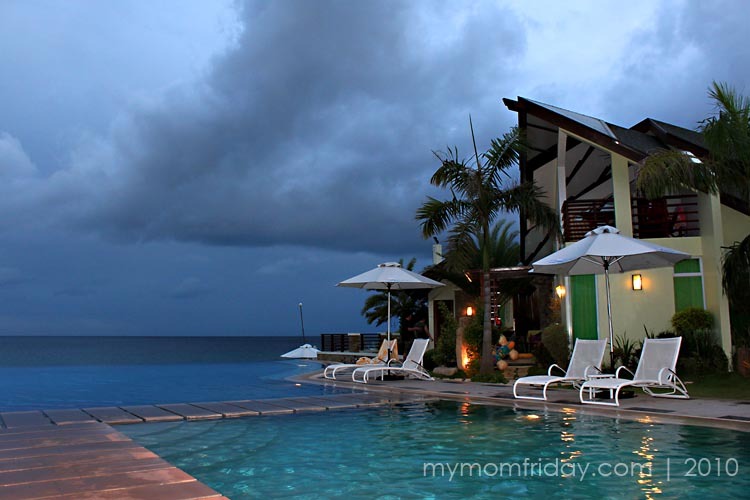 Taken at 6:20 in the evening, I loved this view from the bar -- it's our Estancia-A villa. 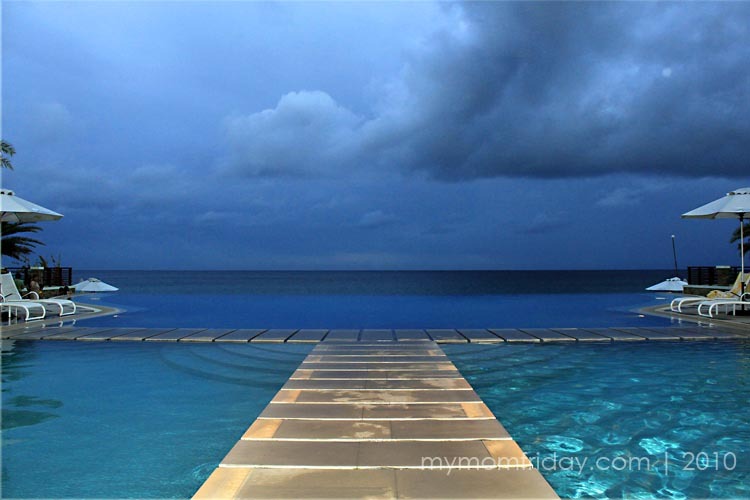 This is the first villa coming up from the beach and stands at the edge, overlooking the sea with an unobstructed view. Half moon at 5:26 and 6:24 p.m.
By 7 p.m. we were ready for dinner. 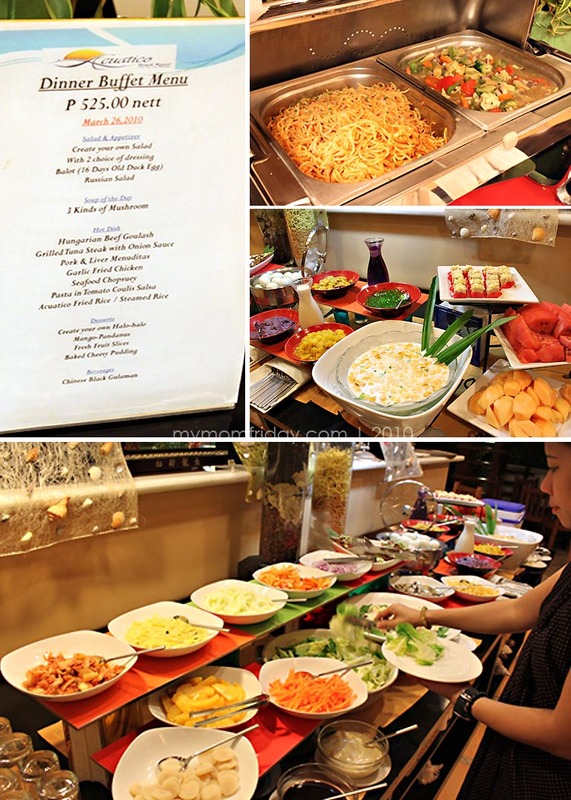 The buffet was all laid out and Chef Ed was personally welcoming and inviting the guests for a sumptuous feast of Filipino-fusion cuisine. 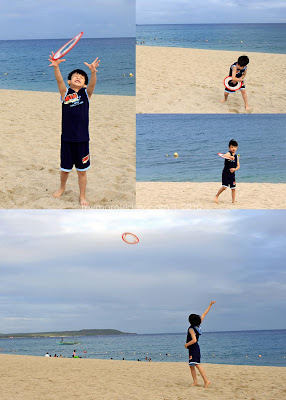 Kids 7 y.o. and below are free to take their pick from the buffet. They also had plated meals for our nannies upon request. If you brought along a driver for the trip, the rate for the driver's quarter already included his dinner and breakfast the following day. This was a good deal. I was suffering from a mouth sore for two days already and I hated the feeling of not being able to chew and savor my meal. 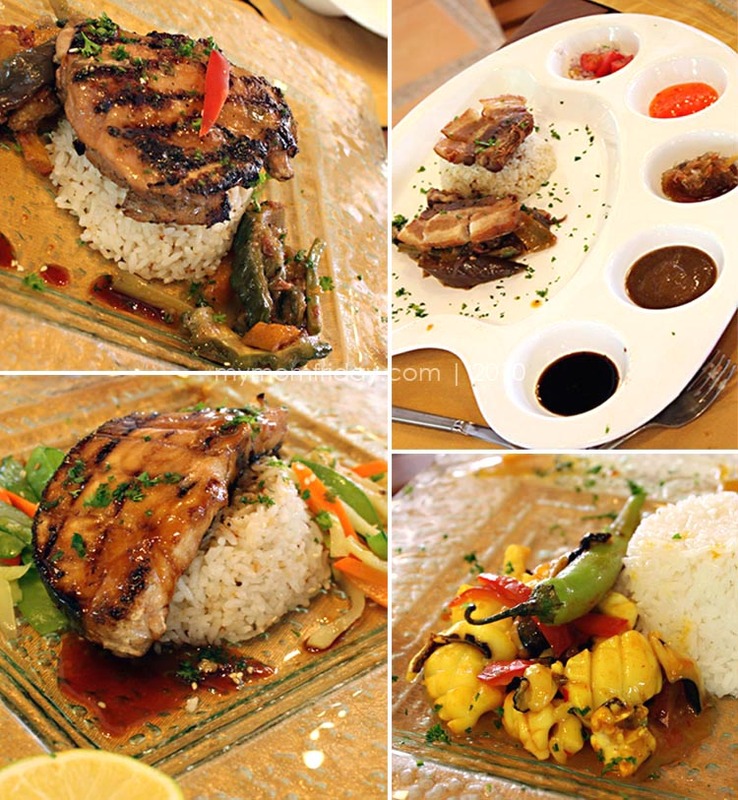 And as much as I would want to taste each dish from the delectable spread, besides the sore, my tummy was still half full from the balut I ate less than an hour ago. Bummer. What I was able to have was their deliciously crispy dilis (anchovies) for my appetizer (despite the stinging pain everytime I bite), garlic fried chicken, seafood chopsuey, and Hungarian beef goulash that tasted like caldereta (braised beef in tomato sauce). A lukewarm reaction by my family of foodies, however, had made me conclude that dinner was not that super. Fusion dishes somehow doesn't excite anymore. We all agreed that lunch was better. 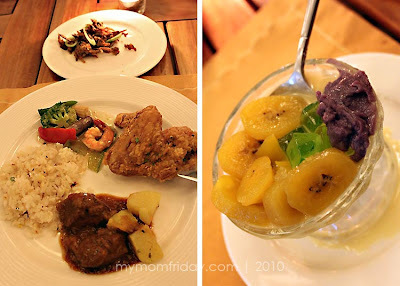 The black gulaman juice was refreshing, and I still managed to enjoy my dessert of halo-halo with homemade ube halaya (sweet purple yam jam), and a cereal-like concoction of mango and pandan jelly. Morning came with just a few hours of sleep. But we were still looking forward to a beautiful day basking in the sun. 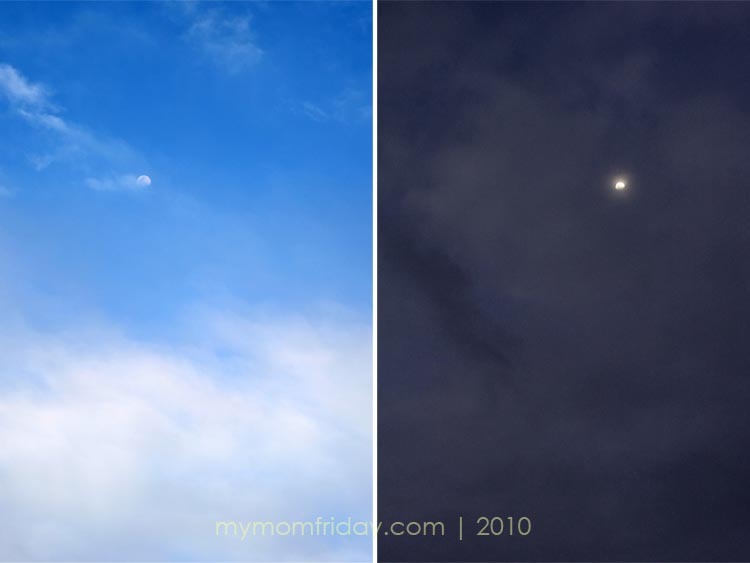 Well, the sun still didn't shine so brightly that day. Our only consolation was no one got sun-burned. What I was looking forward to was breakfast. For the first time in many years, a full breakfast was ready and waiting for me! All I had to do was pick and choose, and delight in this luxury of being able to sit down, relax, and enjoy a deliciously cooked first meal of the day. 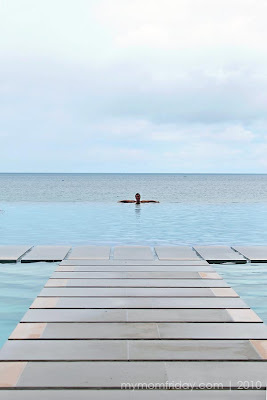 After a full breakfast, we took our last swim at the infinity pool with the kids and then spent the final hour on the beach before packing. 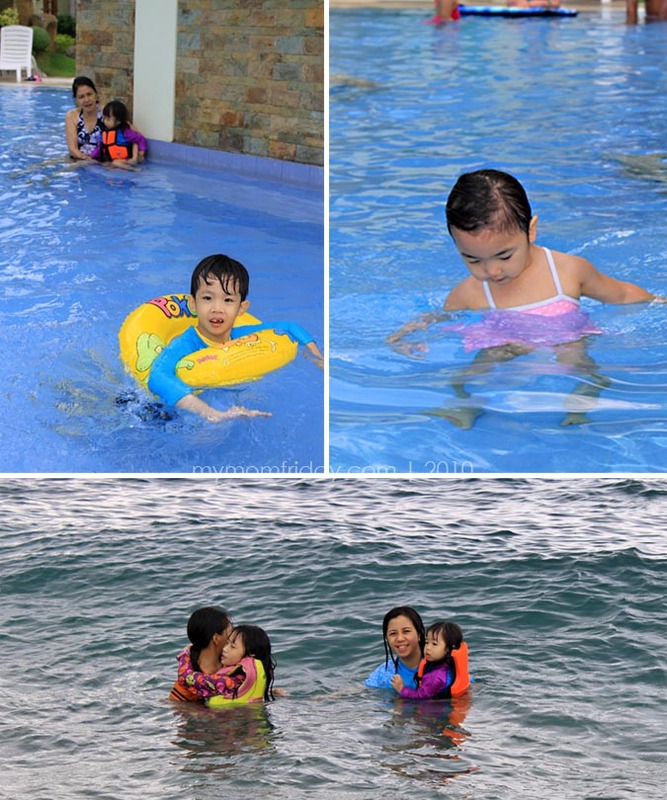 Ours was an amazing and memorable weekend retreat at Acuatico Beach Resort. The excellent customer service, state-of-the-art facilities and amenities (despite the cramped T&B), and breathtaking views made this long overdue family outing well worth the trip. The place is actually smaller than it looks on the pictures, but I think it's also an advantage as it was not crowded. There was a feeling of exclusivity, which I believe was the premium that we paid for. Even with the modern luxuries of this resort, the homey ambiance and friendly service had made our stay more comfortable and enjoyable. Couples and groups of friends would surely have a great time here as well. This is one summer I will never forget. What great timing! We have a booking for this weekend, 3d2n. A friend made reservations for a group of us so I don't know what room we are getting. I am scared of the thought of C meeting the bathroom, I am sure he will be having a lot of issued with it, as well. Thanks for sharing! I am looking forward to experiencing Acuatico. Tina - I knew it's Acuatico when you mentioned a Laiya beach it in your blog :D I'm sure you'll be in one of the Estancia as well since it's the biggest they have. C might have a bit of a problem in the cubicles too! Terrific photos, real informative. Pa-share, ha, with my barkada -- we're looking at places to go as a group. hijadenina - Thank you and feel free to share to your friends :-) just curious with your name...are you in any way related to Judi Denina? Those pictures look absolutely gorgeous. I can almost feel the celan sand between my toes. No sticky tar oil sands to mess up your beach towels there! I've mad a resolution to go to Acuatico, simply on the basis of your post. Eric - thank you, the place is really "photogenic". What is this about Tina's C having problems with the bathroom? Hahaha! 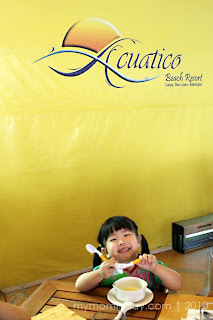 Anyway, great review of Acuatico! Makes me feel sad that we have no real beaches here in Toronto! 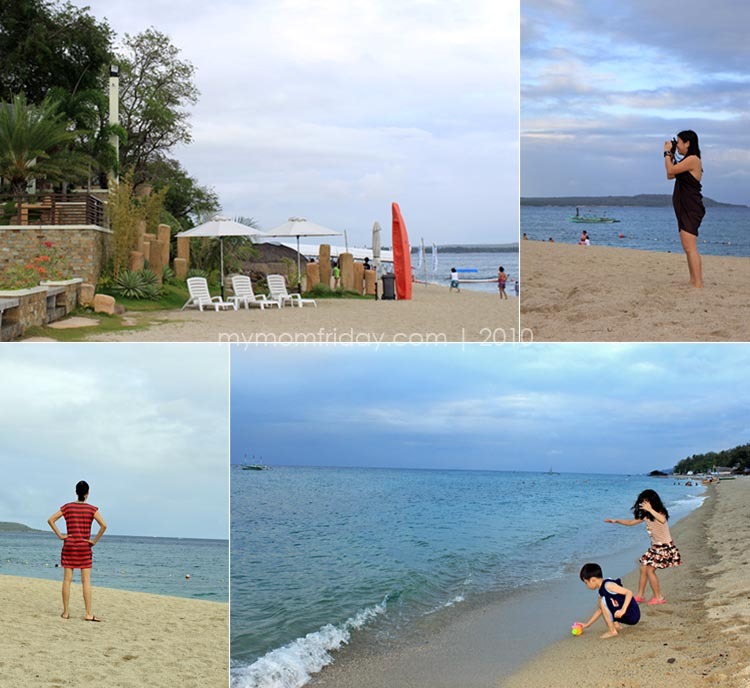 We have lakes...but they're not the same as the crystal clear, blue waters of Philippine beaches! 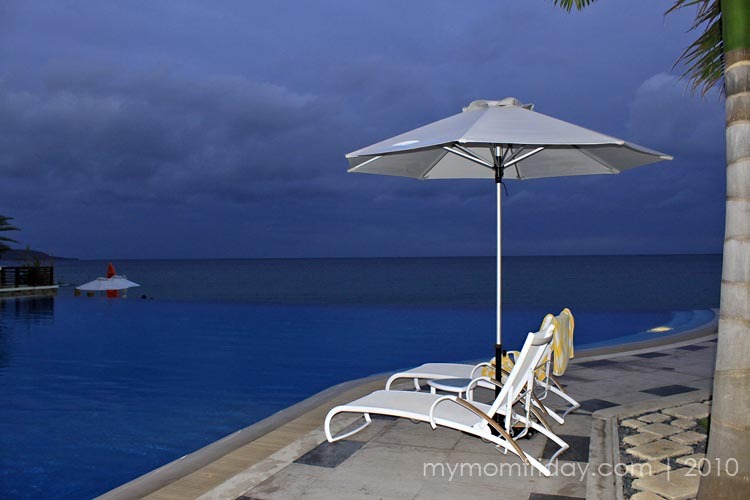 Dreaming....Sigh...Thanks for sharing your wonderful family vacation with us! 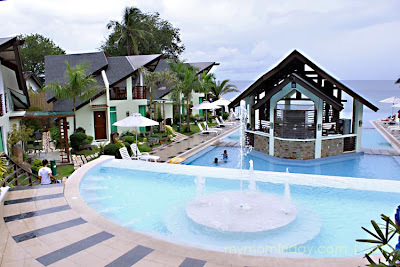 The resort looks beautiful...it's like a perfect getaway not that far from the city. What was the price range like? Jen - make sure you go to the beach on your next visit, lots of new resorts to try! Yay!! 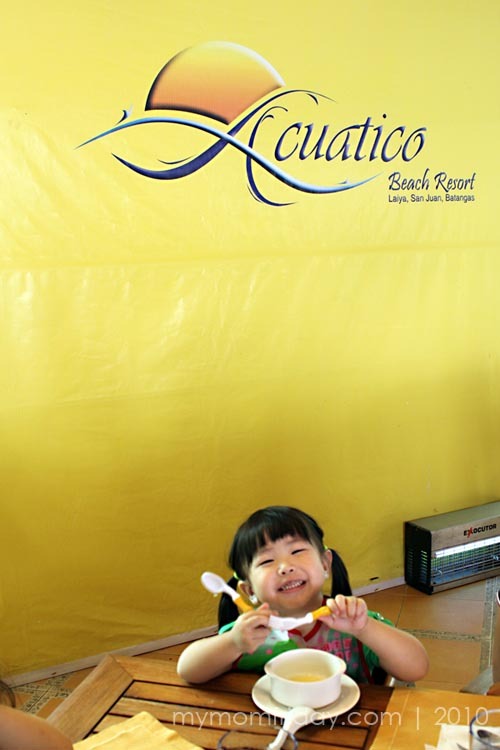 I was wary of booking Acuatico because of the lukewarm reviews it got at Trip Advisor! I'll look into this place again :D Thanks Mom-Friday! Happy Easter! Dyosa - my sentiments exactly, thanks for sharing! Nice pics! Acuatico is small but excuisite..
Astrow - Thanks! And I agree with you, it's small but beautiful. 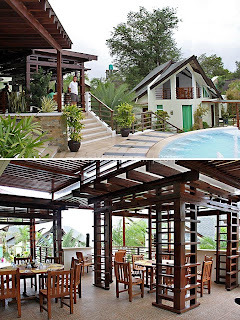 We're booked in Estancia next month, and I must say I am not too excited now. 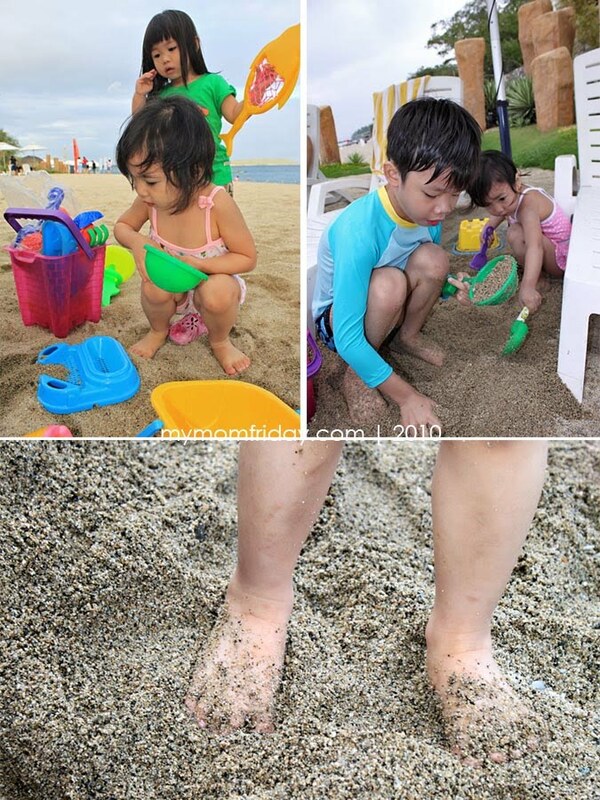 yes, white sand in boracay is finely white sand. Tanya - thanks! Acuatico is in Laiya, Batangas. 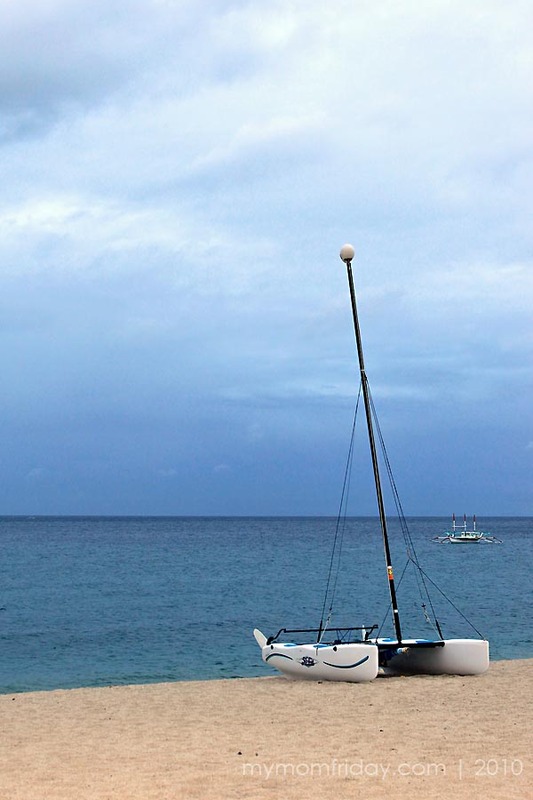 Boracay still has the best powdery white sands. Wow, nice! 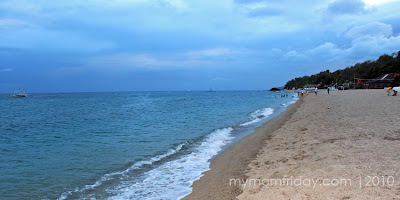 We went to Laiya some years back and ended up in Sabangan. It was not even half as good as this one. 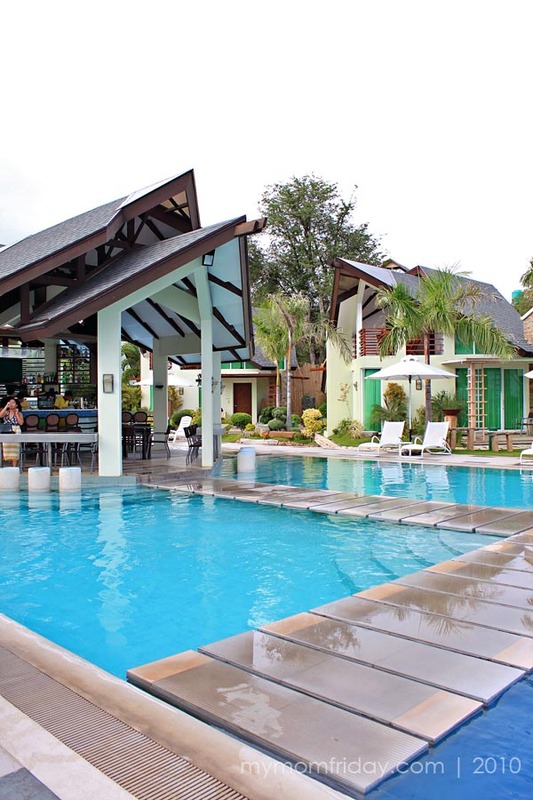 Rowena - I also heard about Sabangan, that's our second choice then...but the facilities daw from Acuatico is better. But I guess kasi it's one of the newer resorts on the strip. 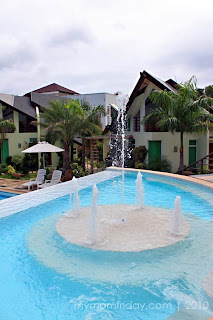 i have booking on march 27 next year.. i hope its not crowded on those days... i've been dreaming to visit acuatico since last year... it took a year for me to save money just to treat my mom, sis, and friends... i want to go home phil!!! your pics are so wonderful... thanks for sharing! i loved it... i shared this to some of my friends here in dubai..
Anon - Glad you like this post. Thanks for sharing too! 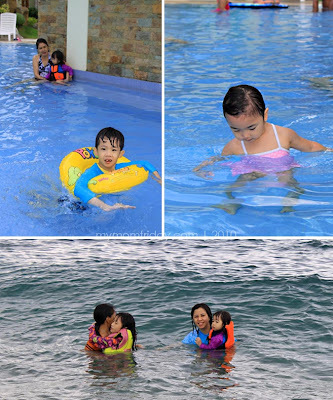 Wow its beautiful place, ang ganda talaga pwede sa mga bata at pang matanda narin..